Most of my son’s artwork gets pegged onto a “washing line” that we have on our living room wall. These pictures change regularly, incorporating some of the artwork that F does at school. 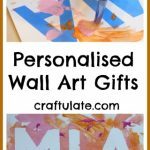 But sometimes it is nice to work on special pieces – perhaps on a canvas or properly framed. 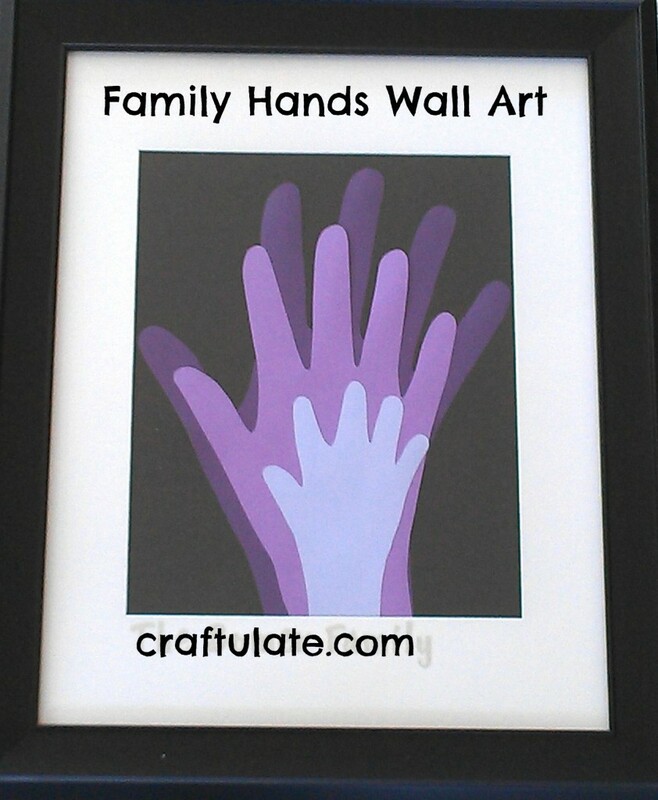 One of my favorite pieces of wall art that my son and I have created is on permanent display in the kitchen. Letters E, A and T on canvas, made with dyed rice, couscous and salt. 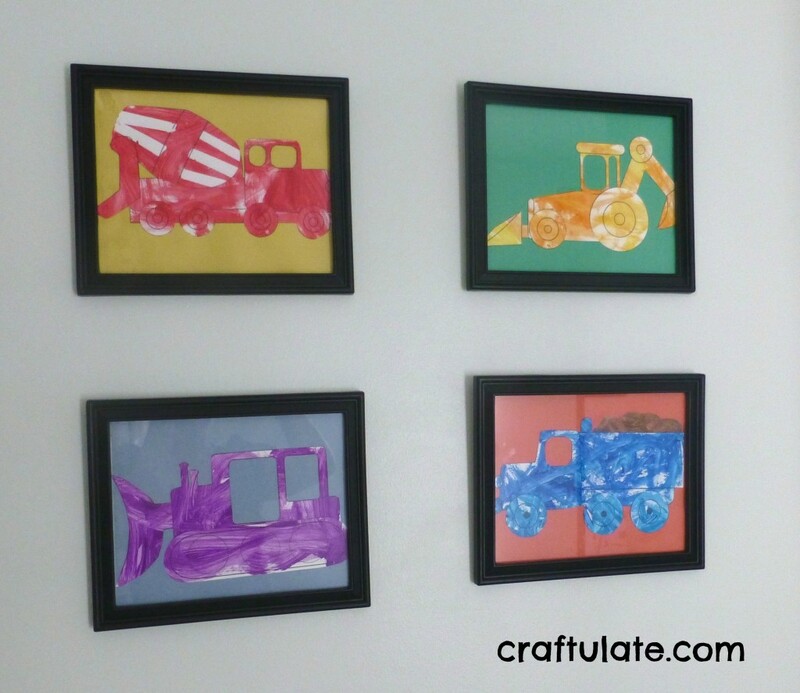 We used some great printables from Learn Create Love to make this cement truck, backhoe, bulldozer and dump truck artwork for my son’s bedroom. 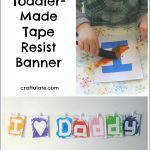 My son made this banner for his Daddy for Valentine’s Day, but this method of creating wall art could be used for pretty much any event or celebration! 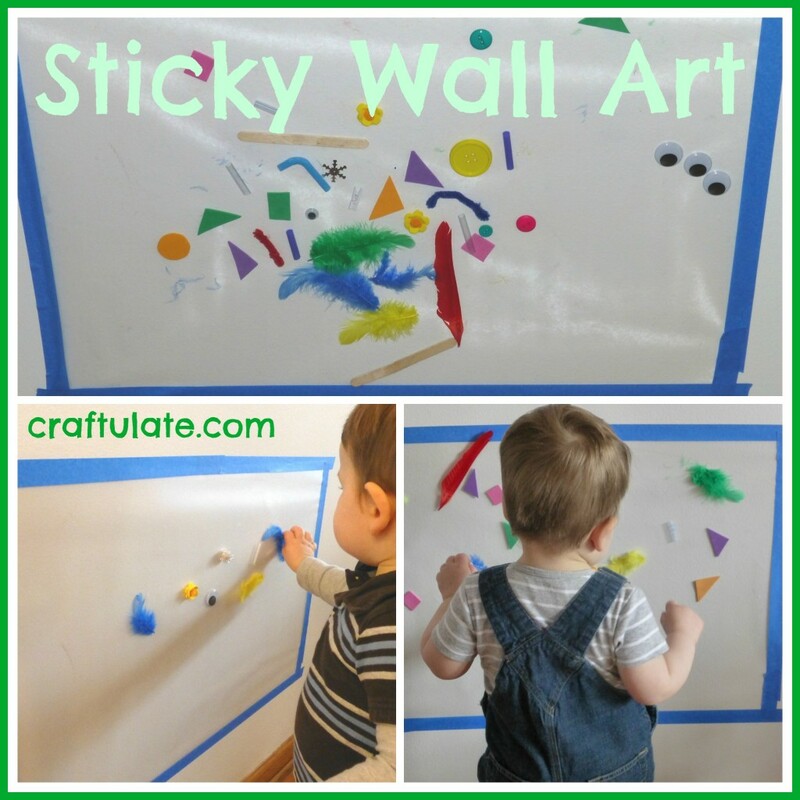 Although my son didn’t help me make this particular piece of wall art, the concept is so simple that now he’s a little older I’m sure he could assist. 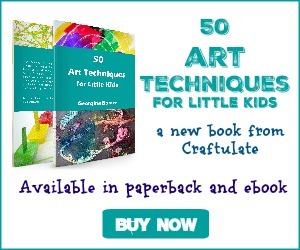 Like the tape-resist banner, this uses the same technique but using canvas boards instead of canvas paper. We made these to give to F’s cousins. 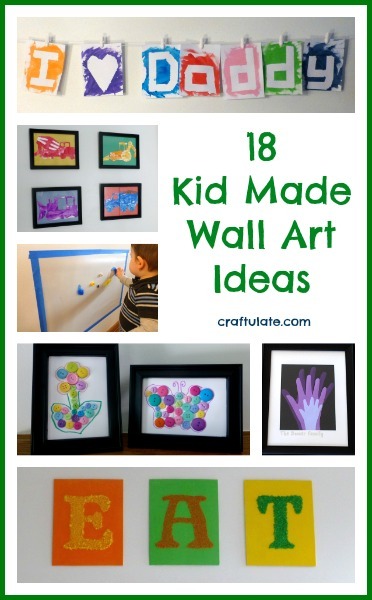 These are really easy to make and very adaptable for different age groups. 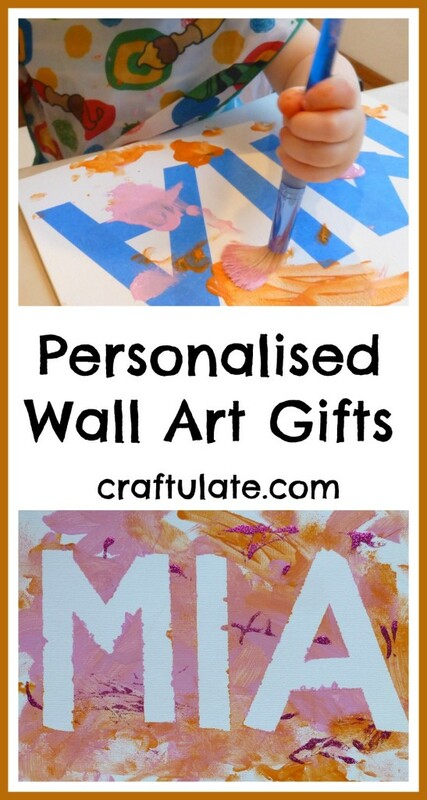 This can be as permanent as you want it to be! 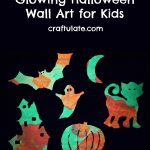 It uses a large piece of contact paper and then any decorations that you want!